How great would it be if you actually received every free sample you asked for? If you request free samples regularly then you know that many times they fail to show up. Luckily, with a little extra effort on your part, you can greatly maximize the chance of receiving any free sample you ask for. Get started requesting free samples now. Here are 10 tips to make sure the free samples you request actually end up in your mailbox. The only thing a free sample scam might get you is more junk mail. Unfortunately, since a lot of companies offer free samples on websites other than their own, it's not as easy as looking at your address bar to see if you're participating in a legitimate deal. You can avoid most free sample scams by skipping those that ask for money, financial information or a social security number. All free sample opportunities have rules and requirements that you need to follow. These are outlined either above or below the form, usually in small print. For example, most of the time a free sample will be limited to one per household but there might be other limitations as well. Sometimes free samples are only available to people in certain states, of a certain age or belonging to a particular group. If you don't meet the criteria for the sample, you won't get it. The form you use to ask for the free sample needs to be filled out completely. Most of the time you'll need to provide at least your name, email address and mailing address. You might also need to provide other personal information, take a survey or play a game to get the free sample. Sometimes the forms have both mandatory and optional questions but it should be clear as to which questions you have to answer in order to get the free sample. After you've submitted the free sample request you should see a confirmation page. This page will thank you for your request and with any luck tell you how long you'll have to wait to get the free sample. If you've made a mistake or missed something, you'll usually get instructions on how to fix it and submit again. Most of the time you can just fill out the free sample form and submit it. Sometimes though, you might get a second page asking you for more information. Other times, you might receive an email with further instructions. Whatever the case, make sure you've done whatever you need to do to get the free sample. If you plan on being away from home for a while, remember to fill out the vacation hold form with the post office. 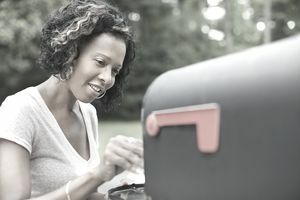 If you don't keep the post office in the loop, your mailbox could fill up quickly and your free samples will likely be returned. There's nothing like checking your mail and seeing a small box that you immediately know is that free sample of cereal you requested! Sometimes it's not so easy to tell if a piece of mail is a free sample or not and you may accidently throw it out. You might see something that you think is junk mail, like a plain white envelope, but really there's a shampoo sample hiding inside or a coupon for a free product. It's a great idea to note the date you request a free sample. Most samples arrive 6-8 weeks after you've asked for them, unless it says otherwise on the confirmation page. If you haven't received the free sample at that point, you can contact the company who offered it and let them know you haven't received it. They might be able to update you on the status of the sample or send another one out to you.